Last week, before TV networks revealed their new fall schedules at the upfronts in New York City, the axe fell on several fan-favorite shows, but Zimbabwean actress Sibongile Mlambo found herself in an enviable position. To her surprise, not one but both series that Mlambo currently stars in, "Siren" and "Lost in Space," were each given a second season order. Mlambo spoke with Build Series NYC to share her reaction. "It's very, very exciting. I'm super grateful," said Mlambo as she took time out of her busy LA afternoon to call our New York office. "I'm happy for everyone, and all the hard work that everyone has put in, and I'm definitely grateful to the fans for watching and allowing us to go to a season two!" 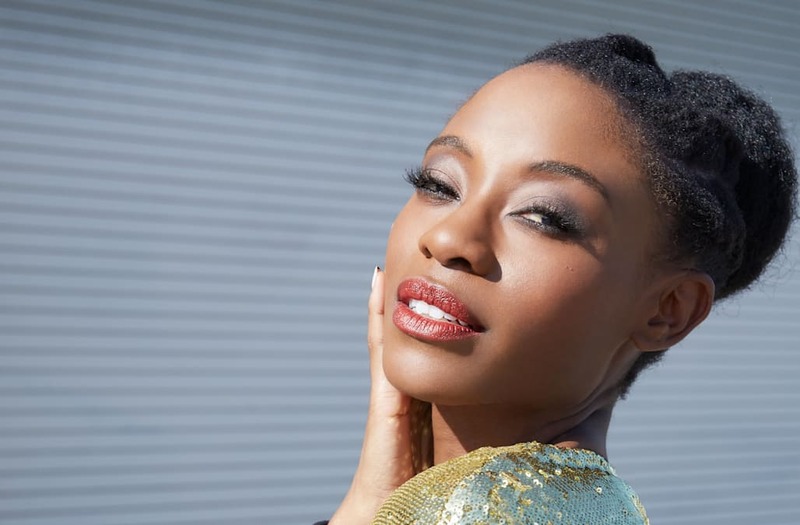 Mlambo has been making a splash as the beautiful but dangerous mermaid, Donna, on Freeform's "Siren." "She is quite fierce and loyal." After being captured by humans and held in captivity, "she really wants to get back to the water, and have her sister, Ryn, come with her." With season two on the horizon, the season one finaleairs May 24th and Mlambo promises a "surprising betrayal" that will leave fans wanting more. On the other side of the galaxy, Mlambo joined the Robinson family in Netflix's reinterpretation of the classic 1960s science fiction series "Lost in Space." Just weeks after its premiere -- and an epic cliffhanger -- Netflix gave eager fans word that season two is on the way. "I know the writers have been busy, so I'm definitely excited to see what storylines they've come up with!" As a young girl, Mlambo didn't dream of the spotlight, but when she saw her sister in a film something changed. "I remember seeing her on screen and just thinking, 'Oh my god, that's so cool. She's playing pretend!'" Mlambo pursued this sudden interest in acting and shot her first film at age 10, "and then it was back to school, and I guess what would be regular life, until I got back into it as an adult." "I was based in Cape Town, South Africa, for a few years, and a lot of international productions would come to shoot there." Local actors would audition, and were lucky to get one or two lines, but when Mlambo booked a role on the Starz series "Black Sails," things started to change. "That was my first international role, and my part, well, I had a lot to say." Mlambo quickly followed up her work on "Black Sails" with an arc on the final season of MTV's "Teen Wolf." "That was such a surprise, because I ended up doing way more episodes than I originally signed on to do." Mlambo will be back to work on season two of both of her shows soon, but not before her film "Under the Silver Lake," hits theaters this summer. Mlambo stars alongside Andrew Garfield, Riley Keough, Zosia Mamet, Topher Grace and more in this dark comedy that debuted at the Cannes Film Festival earlier this year. With so many projects under her belt, and even more on the way, Sibongile Mlambo is one to watch!